The human race will not solve the issue of mile-high pollution by jets anytime soon, but Jeju has an answer to reduce the size of the footprint left by globe-trotting carbon bipeds, at least for their ground activities—Olle trekking, an eco-friendly and near zero emission way to enjoy Mother Nature. Suh Myung Sook, the founder of Jeju Olle has invited over 10,000 trekkers worldwide to Jeju this November for an event titled World Trail Conference 2010. Speakers representing trails in Hong Kong, Japan, Britain, Canada, Australia, California and Spain shared their experience in the conference and discussed ways to further globalize the island’s unique trails by networking. The list of global trails with which Jeju Olle plans to form a worldwide trails network includes: ➊MacLehose Trail in Hong Kong, ➋Shikoku Pilgrimage in Japan, ➌Cotswold Way in the U.K., ➍John Muir Trail in California, ➎Tahoe Rim Trail in Sierra-Nevada, ➏Bruce Trail in Canada, ➐Great Ocean Walk in Australia and finally £\El Camino de Santiago in Spain, the very trail that, three years ago, inspired Suh Myung Sook to start Jeju Olle. Olle 14, begins at Joeji Village and passes through Hankyung, Hallim, Wolryeong Port, Geumneung Beach, Hyeop-jae, and Ongo Port before culminating at Biyang Island Ferry Terminal. The 18km course also encompasses an area designated as an official natural monument; a place where many local varieties of Barbary fig are known to grow. A strip of natural rock formations and small forest swamps amid developed farmland, Route 13 is home to rare Jeju flora and fauna. 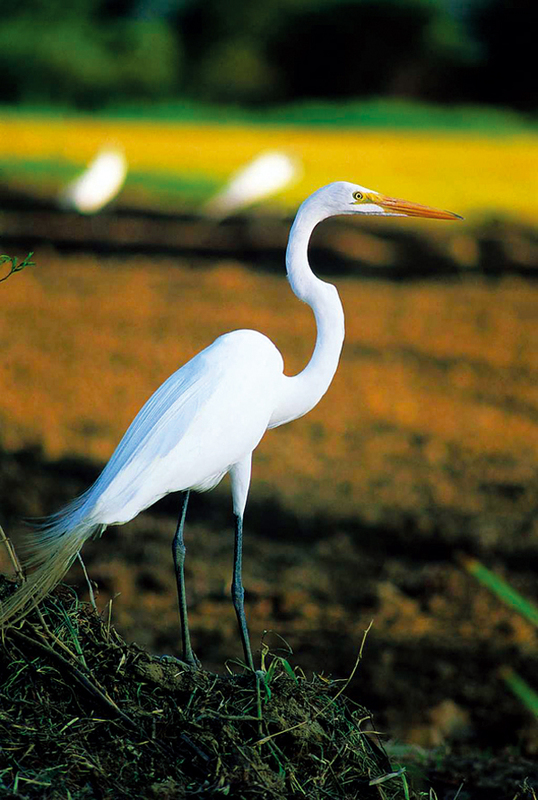 Great White herons and pheasants dot the lush and solitary landscapes that are for the most part vacant of other travelers. “If you go inside the forest route you can’t see beside you — like a secret garden,” says Ahn Eun Joo, Olle’s planning department manager. Awash with butterflies and accompanied by a cacophony of birdcalls that transform the walk into a solitary pilgrimage, the forest paths of Route 13 present an entirely different perspective of Jeju island. Olle 11 passes through Gottjawal, a forest called the “Lung of Jeju.” Thanks to its rocky terrain which is unsuitable for farming, the forest is largely uncultivated and undeveloped throughout the 20th century, save for a winding, unpaved path. 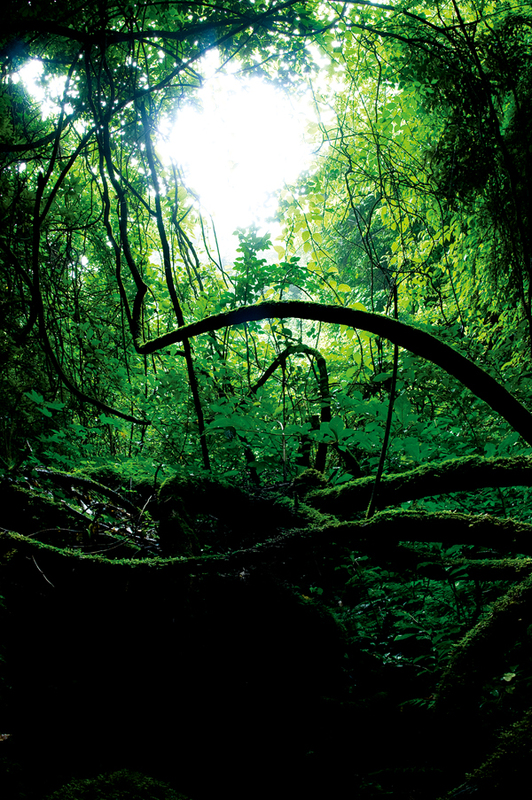 Beneath the grass and moss that blanket the forest floor is a rough, uneven surface of cooled AA and Pahoehoe lava. AA lava, a form of Basaltic lava, is comprised of rubble known as “clinker.”This is what created, beneath the forest floor, a layer of water-bearing permeable rock. Fourty-six percent of rain water that falls over Gottjawal forest permeates down into these rocks — the highest permeation rate of anywhere in Korea. 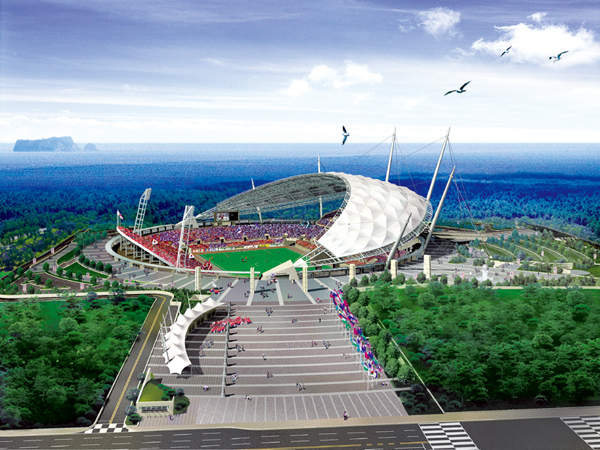 The otherworldly architecture of the World Cup Stadium greets hikers at the beginning of course 7.1. Most Olle trails are best walked in the morning to avoid the midday heat, but because Course 7.1 cuts inland it is best enjoyed in the afternoon, when the light is at its warmest and the sun filters nicely through the trees. The treat of Course 7.1 comes near the end. After descending into a crater valley, walkers will get to experience a rare sight — Jeju’s rice fields. When walking in the afternoon or early evening these fields shine with the warmth of the setting sun. It can feel like walking into a different time or place. Cows and horses graze nearby and due to the rice fields being located inside the crater; there is no sound of traffic. 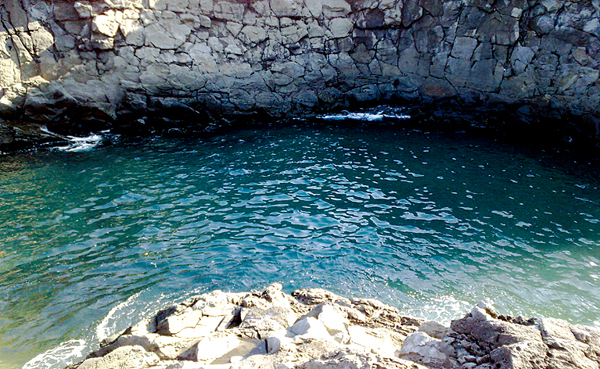 Every few kilometers, hikers will find more natural swimming holes than any other trail, which are run by the Jeju Provincial government. Hikers should keep their eyes peeled for the famous Subong-ro and Subong-gyo. These are great places to sit, swim, or rest. The 1.1 kilometers from Seogeon-do to Poonglim Resort have some challenging parts, but also provide some of the most inspiring views. Not only do the wonderful ocean views continue, but the trail also provides a good vantage point for panoramas of Halla Mountain. This route cuts inland in a few places and it helps to follow the blue arrows and the yellow and blue ribbons that mark all olle courses. Coming down from Jejigi oreum, hikers will start to walk through some coastal forests. It is quite lovely to walk through the woods while listening to the ocean; the waves make for some eerie ambience, and occasionally hikers will be greeted by a small crab. Leaving the coast, Olle 6 goes into downtown Seogwipo. 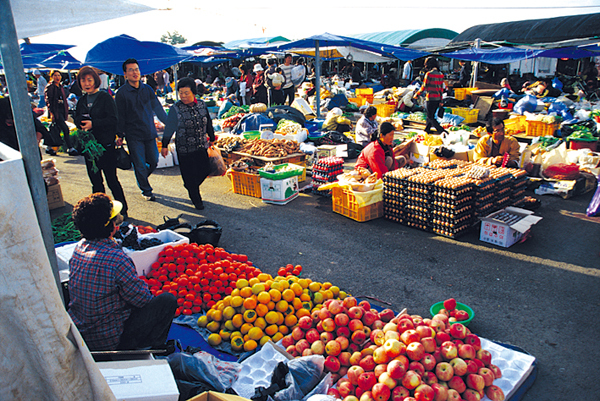 Walkers will get to walk through the Seogwipo market and visit parts of the city. The route also goes by the gallery of Lee Jung Seop, a local artist whose work decorates the streets along the route. The end of the route passes above Cheonjiyeon falls and through an ecological park. This area is beautiful in the afternoon or early evening. “Soesoggak” which means “the pool that cows drink from” in old Korean, has recently been added to the trail. Its high lava-rock walls, almost canyon-like, seem to swallow sound so that all that can be heard during a gentle evening’s stroll along its path is the sound of the pine trees stirring in the late breeze and the occasional sound of fish breaking the surface of the still waters. Here the fresh water mingles with the seawater providing the perfect place to bathe. The estuary provides the perfect place for tourists to appreciate Soesoggak’s calm and tranquil nature. 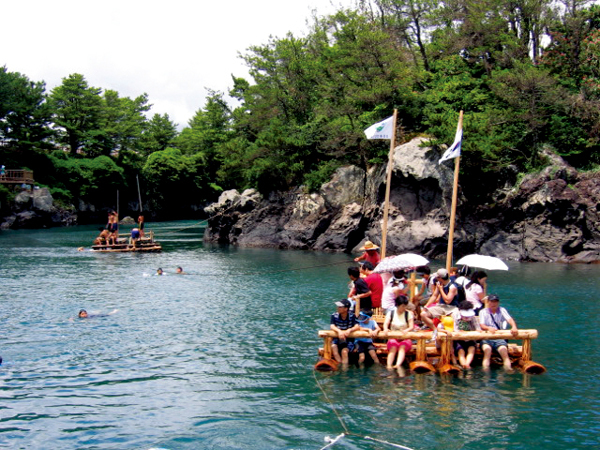 The main attraction at Soesoggak has, more recently, become Jeju’s traditional raft boat, the Tewoo. Olle is winning the hearts of Jeju natives. Whereas traditional tourists spent their travel budget in big name hotels and resorts owned mostly by mainlanders, the money Olle hikers are spending is literally trickling down to the bottom of the Jeju economy. Walking along the 16 Olle trails, hikers can easily spot “welcome” signs posted by hundreds of local mom-and-pop stores and restaurants. Olle is expected to bring in about $30 million for the local economy this year according to a government study. Jeju Olle has proved to be an instant hit among Korean hikers who have been looking for an alternative way to enjoy the island. In its first year, some 3,000 hikers visited Jeju to explore the Olle trails, but the number soon exploded to 30,000 in the second year of the program's inception. Last year, over 500,000 hikers are believed to have walked the Olle trails, with some 700,000 hikers projected for this year. 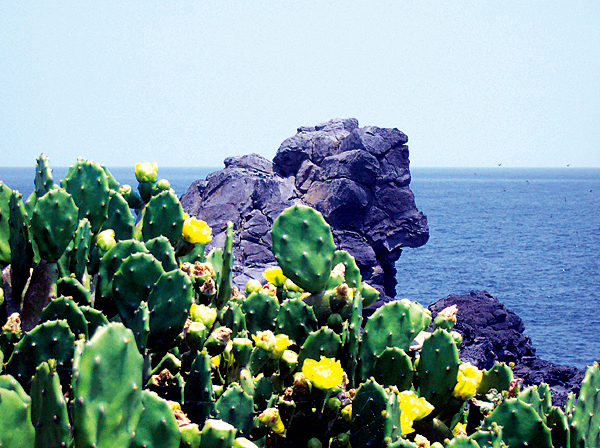 Thanks, in part, to the blockbuster success of the Olle trails, the number of annual visitors to Jeju passed the 6.5 million mark last year, despite the growing fear over the global swine flu pandemic. Ganse is the local name for the iconic Jeju pony as well as the symbol of the Olle trails, and it comes from the old Jeju dialect, ‘gansedari’ meaning a slow lazybones. To enjoy Jeju Olle, you had best walk along the trail as slowly as possible like the Jeju ponies that stroll the green grassland of the island. The Ganse symbols along the trails are made of environment-friendly material: corn. 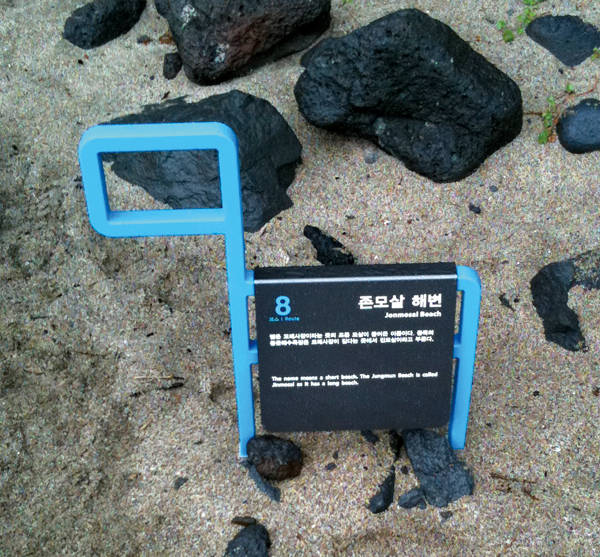 It is strong enough to endure the rain and winds of Jeju while being biodegradable at the same time. 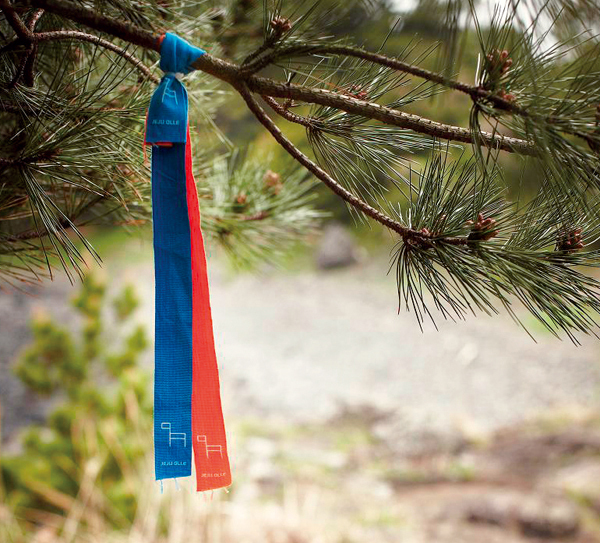 Blue and orange ribbons are usually intertwined and hung on twigs. You may find them on mountain paths where it is hard to mark with arrows. They are hung a bit higher than eye level. Blue arrows on the ground, stone walls and utility poles act as the most elementary direction signs for the Jeju Olle Trails. Orange arrows guide people from the reverse route. 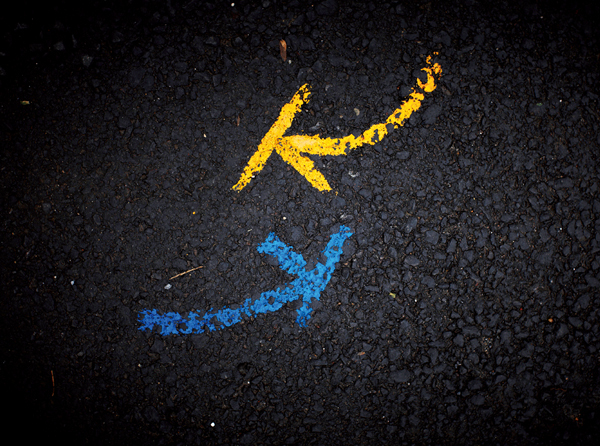 If you decide to take the trail from the end of the route to the starting point, follow the orange arrows.